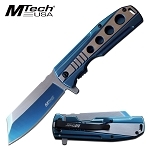 Featuring Master USA spring assisted folding pocket knife. 8.25 inch overall open length. 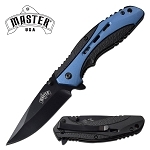 Featuring Master USA spring assisted folding pocket knife. 8.25 inch overall open length. 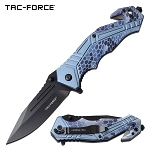 3.5 inch 3c413 steel blade. 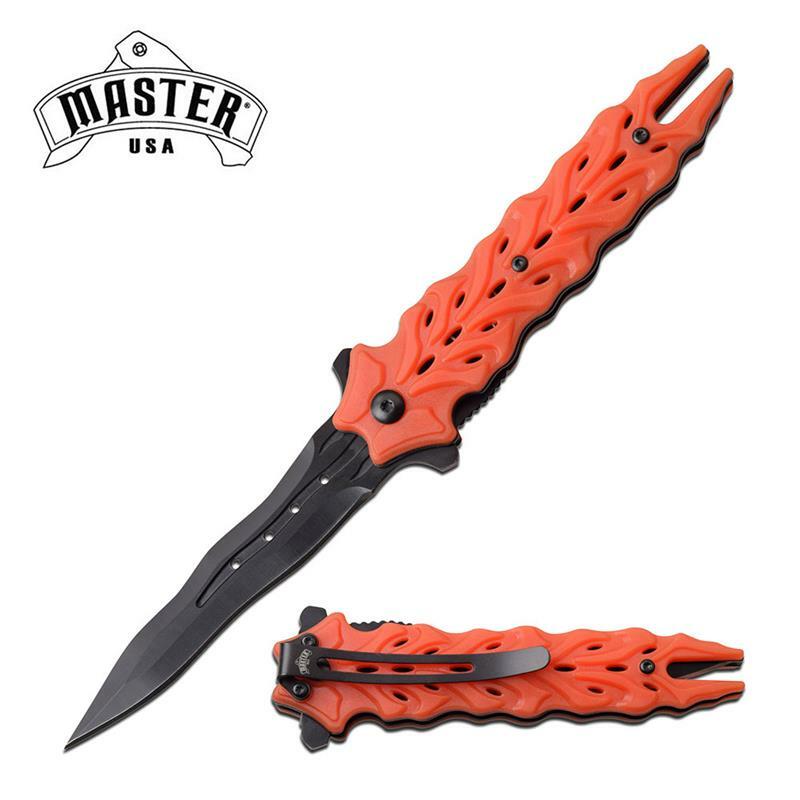 The handle is 4.5 inch long with injection molded abs handle. The knife back has a pocket clip attached to it.